Tell your own story! 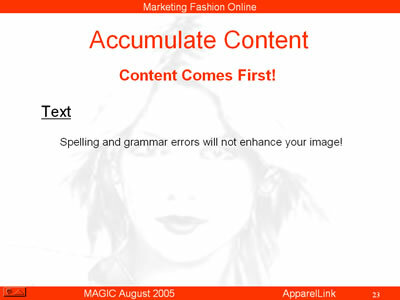 Write your copy in a word processor and spell and grammar check it! You want to impress your visitors. Spelling and grammar errors will not enhance your image.